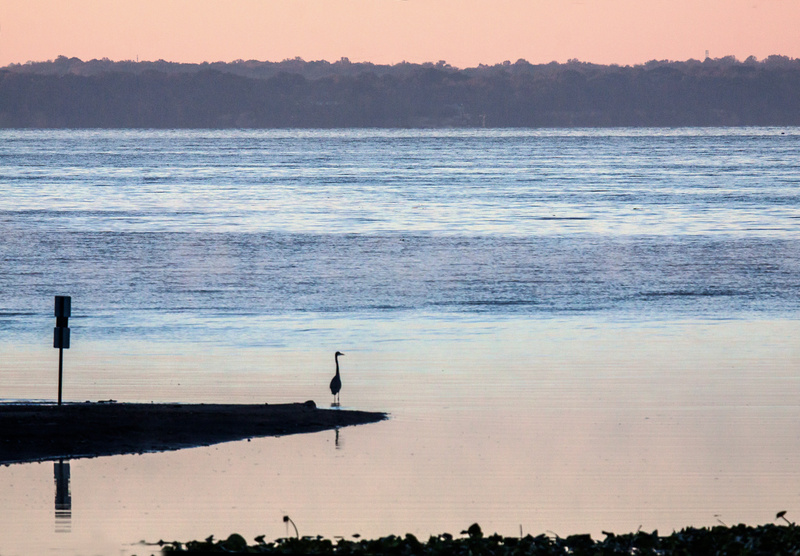 Do you take photos only when the weather conditions are optimal? If I followed that rule, I’d be staying at home most of the time. This winter in particular, it seems like I am at work on all of the days with good weather. So often I will choose to go out with my camera when I am free and not when the weather is good. 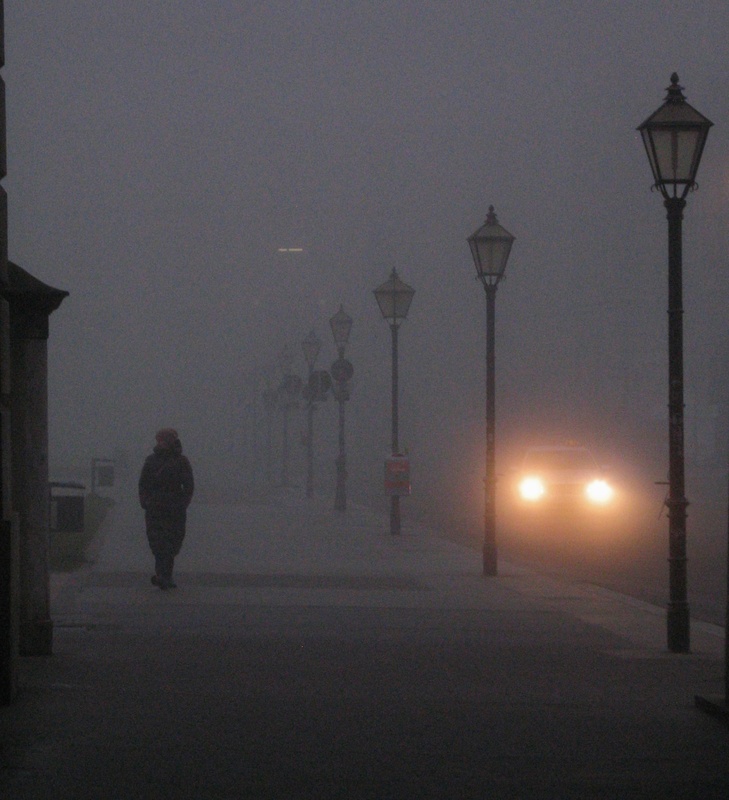 One particular morning last week it was really foggy and visibility was extremely limited. The subjects that I could see were hazy and indistinct, utterly lacking in contrast. It’s hard to know how what camera setting to use in situations like those. 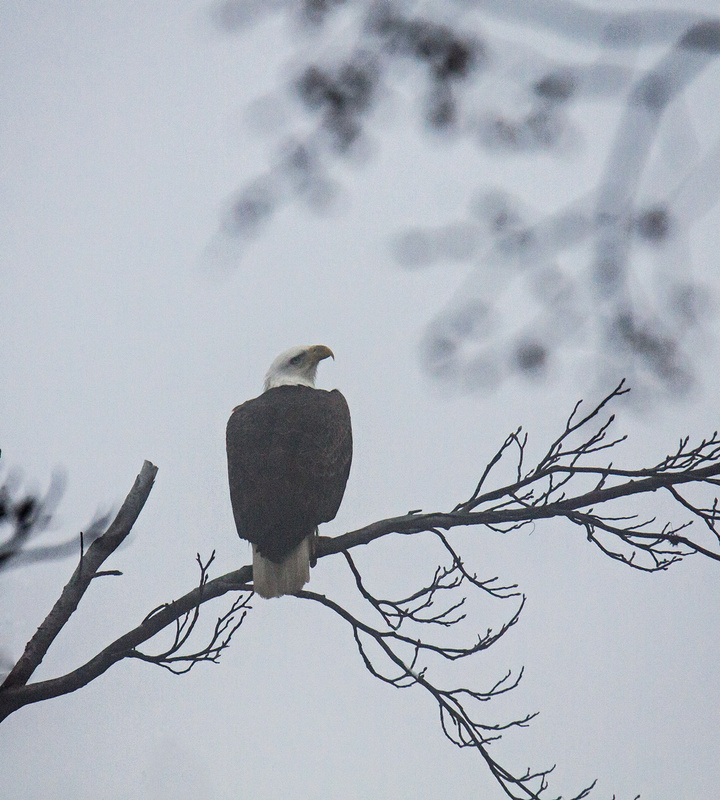 I was at Occoquan Bay National Wildlife Refuge, my favorite spot this winter for wildlife photography, and as usual I managed to spot some Bald Eagles (Haliaeetus leucocephalus). It is always a challenge to photograph the eagles, because they tend to perch a good distance away from the trails that I follow and they are often quite skittish. 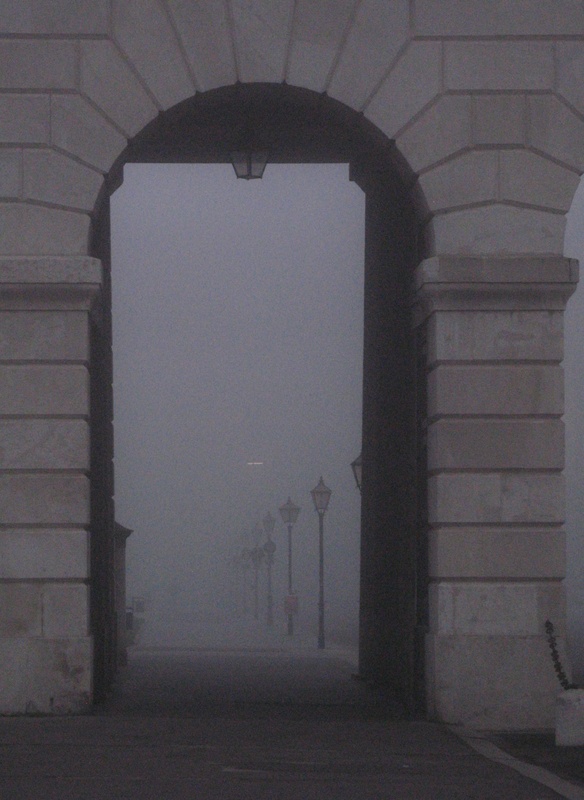 In this case, the difficulties were magnified, because of the heavy fog/mist. I ended up processing the images that I captured in a number of different ways, attempting at times to enhance the contrast or eliminate some of the fog, with varying degrees of success. 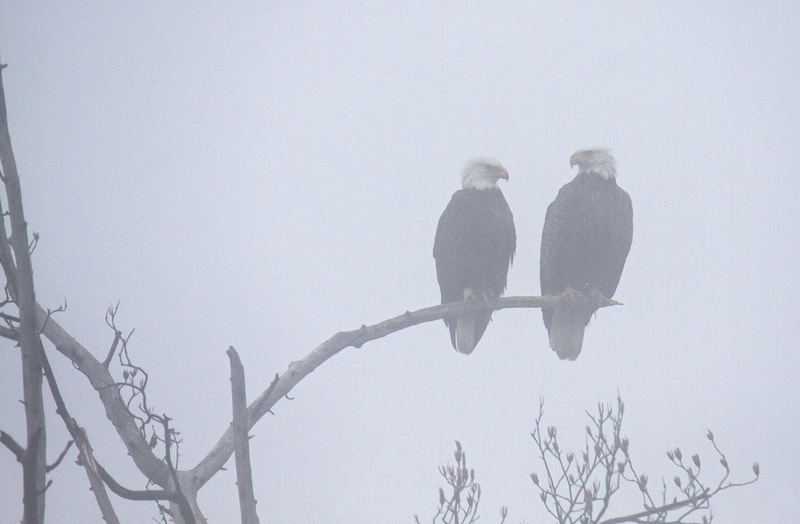 Here are a few of my favorite shots of the eagles in the mist. 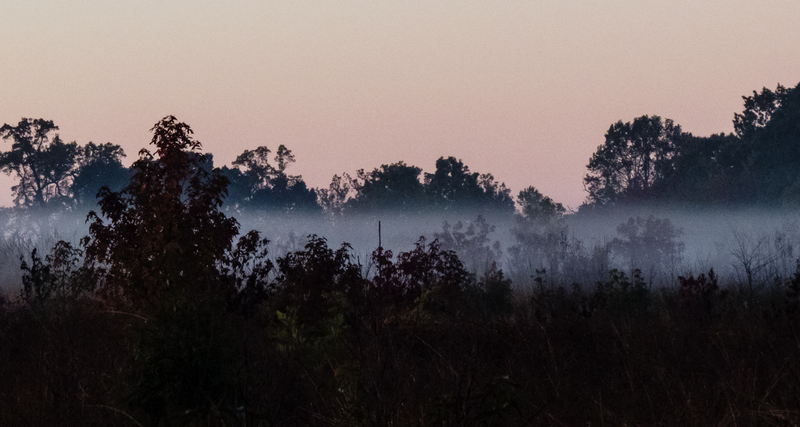 We don’t often have daytime fog where I live—most of the time it burns off shortly after sunrise. 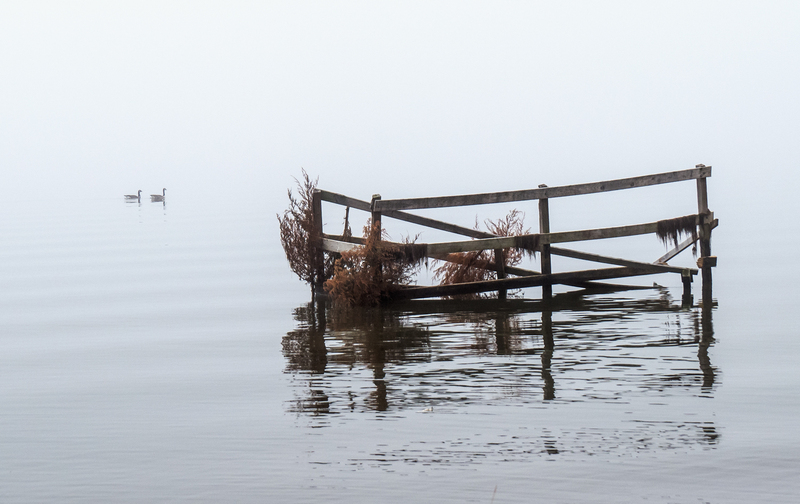 Yesterday, however, it hung around all morning and visibility was very limited at Occoquan Bay National Wildlife Refuge. 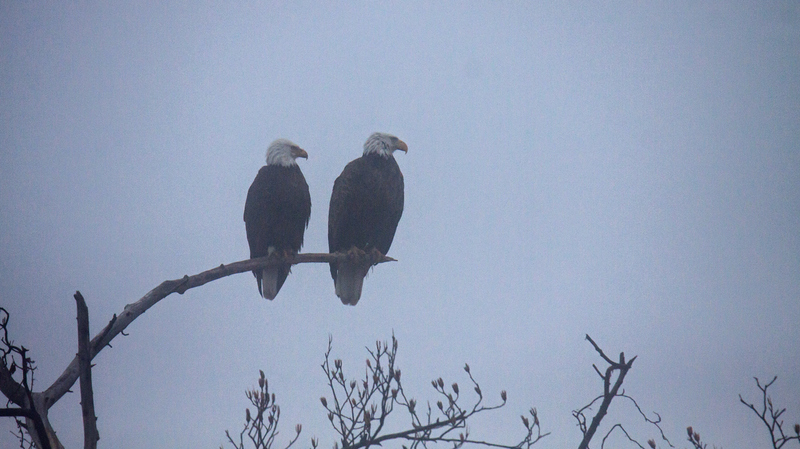 Except for a lot of gulls and a few geese, the birds seemed to have decided to stay sheltered until the fog dissipated. 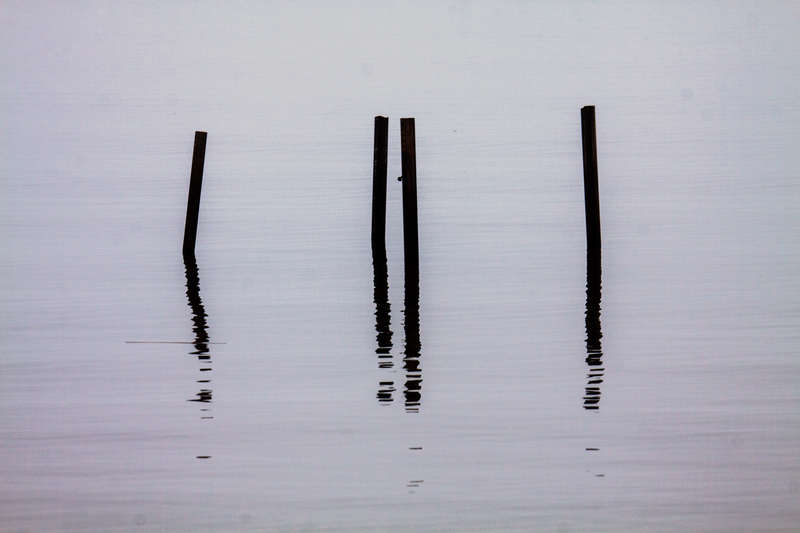 It was a nice challenge for me to try to capture a sense of the moment in the indistinct shapes that were visible as I looked out into the water of the bay. Here are a couple of images that have a kind of abstract, impressionist feel that I really like. 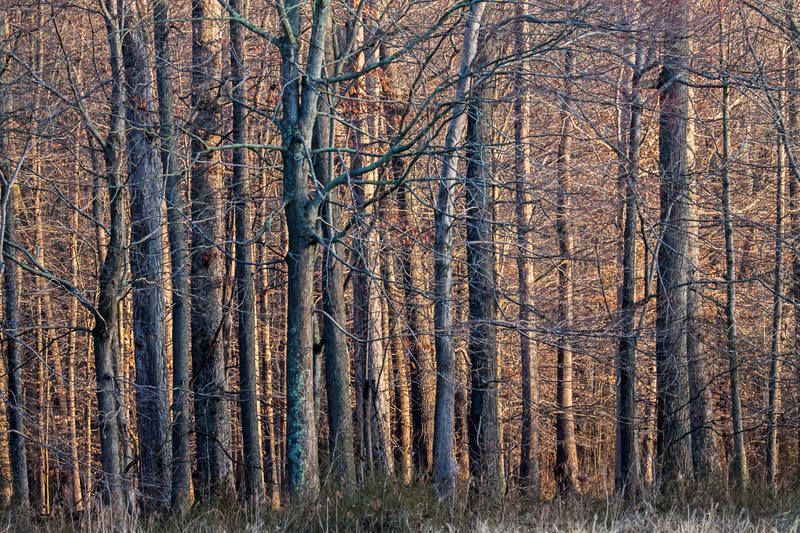 The early morning sunlight was spectacular yesterday as it streamed through the trees at Huntley Meadows Park. I tried to capture this phenomenon as a kind of mini-landscape by using my telephoto lens and framing it just as you see in this image. It is a little unusual for me not to crop an image at all, but by composing it this way, I was able to include those elements that I found the most interesting, the light and shadows of the trees, and left out the things that I found less interesting such as the sky. I did include a little strip of grass in the foreground so that the image is not completely abstract. 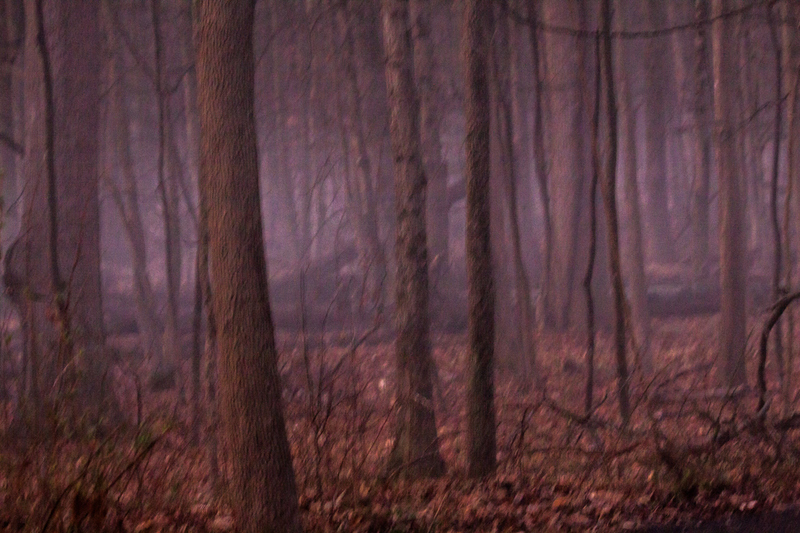 When I first arrived at the park, the sun had barely risen and there was a lot of ground fog, which made the woods look really mysterious and a little spooky. One of my viewers on Facebook said the image looked like it could be the setting for the witches in Macbeth. 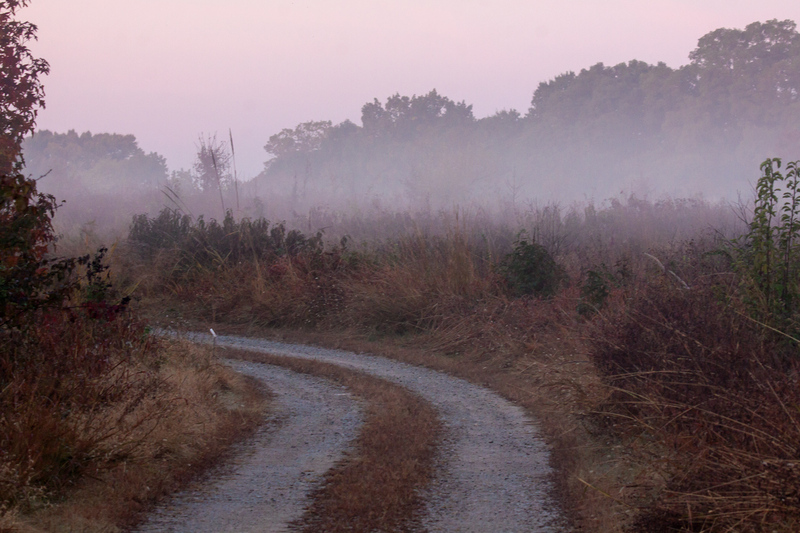 The second image was a lot tougher to capture, because of the lack of light and my desire to capture a sense of the fog that was clinging to the ground. There is a slight blur to the image, which would normally be a shortcoming in a photo, but I think it works ok with an image like this one. 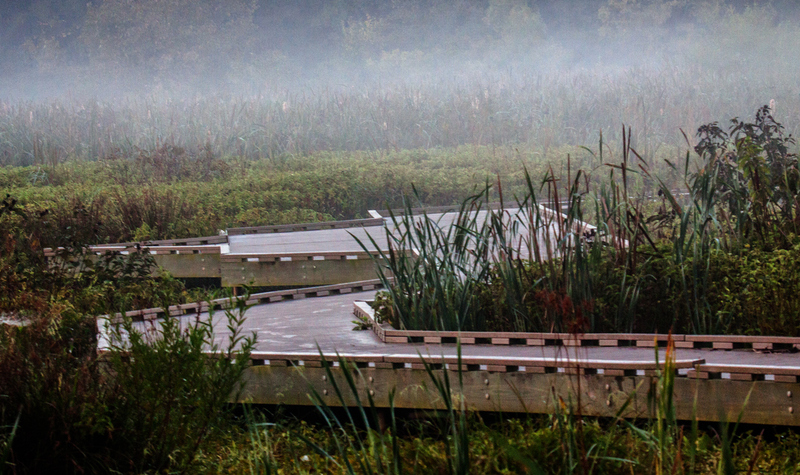 Fog hung over the wetlands at Huntley Meadows Park early Friday morning, making the walk on the boardwalk a little eerie. 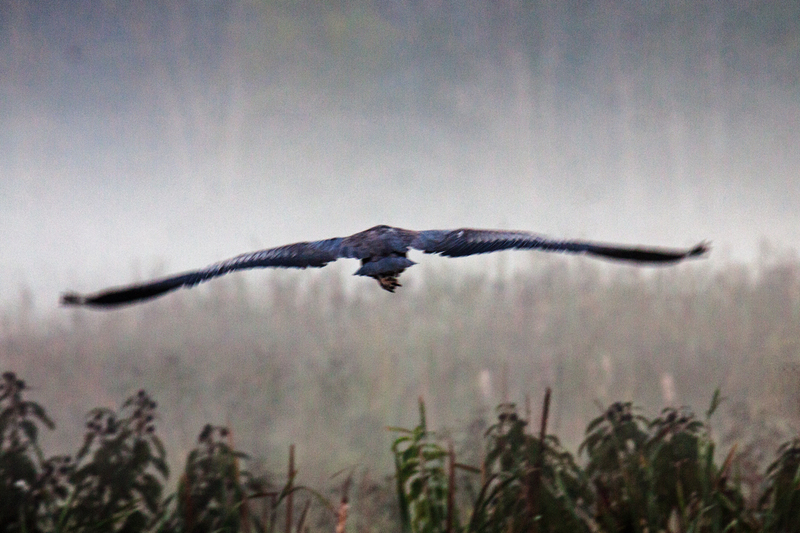 When a spooked Great Blue Heron (Ardea herodias) took off right in front of me I was scared almost witless, but had the presence of mind to get this shot. Here’s a shot that I took shortly after the first one that gives you a sense of what the boardwalk looks like as it makes it way through the wetlands of my favorite marshland park. 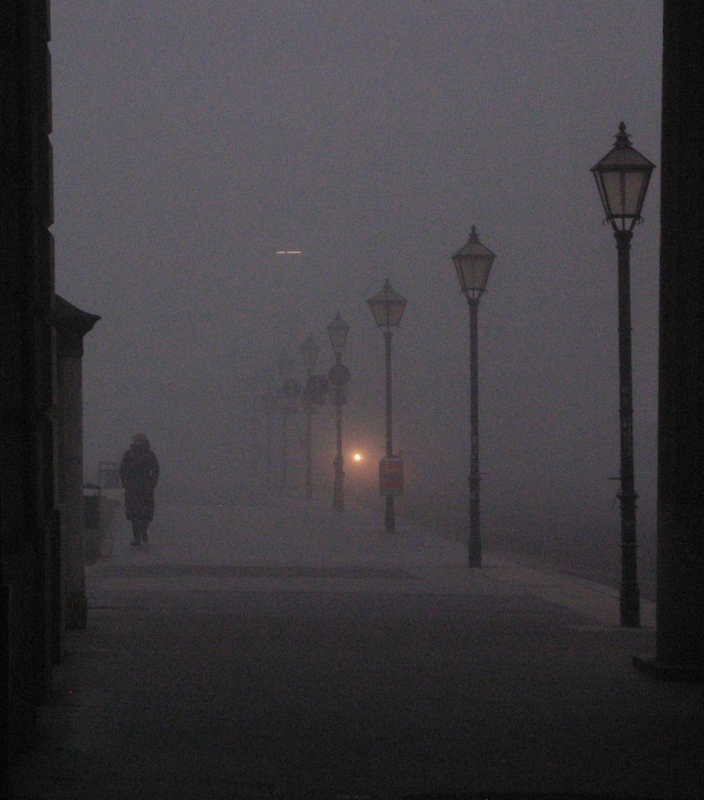 It was a really foggy start to the day in Vienna yesterday and the photos I took looked almost like they had been taken with black and white film.